Is your Plasma or Oxy-Fuel machine in need of modernization? Do you need a new CNC, Plasma AC servo drive system to help improve the speed and precision of your end product? If yes, you have come to the right place! Plasma Technologies Analog Drive installed in one or our customers ESAB machines. needs. 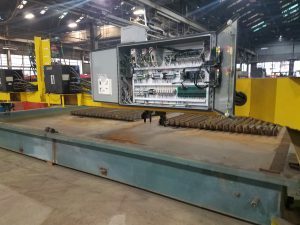 A retrofit provides our customer with the best of both worlds; they have an updated, more modernized and user friendly machine, but at approximately half the price of what a new machine would cost. The frame and rails of your system will remain the same with our retrofitting services, which is important to note since the frame is the most expensive part of your cutting machine. We will add up-to-date electronics to the frame, and before you know it, you’re cutting machine will look and act brand new. If you have an older MG, AKS Accu-Kut, SATO, ESAB or anything in-between that is acting up give us a call today before disaster strikes! For most businesses using CNC cutting machine, time is money, and the thought of unscheduled or scheduled downtime to have their machine fixed or retrofitted sounds impossible. 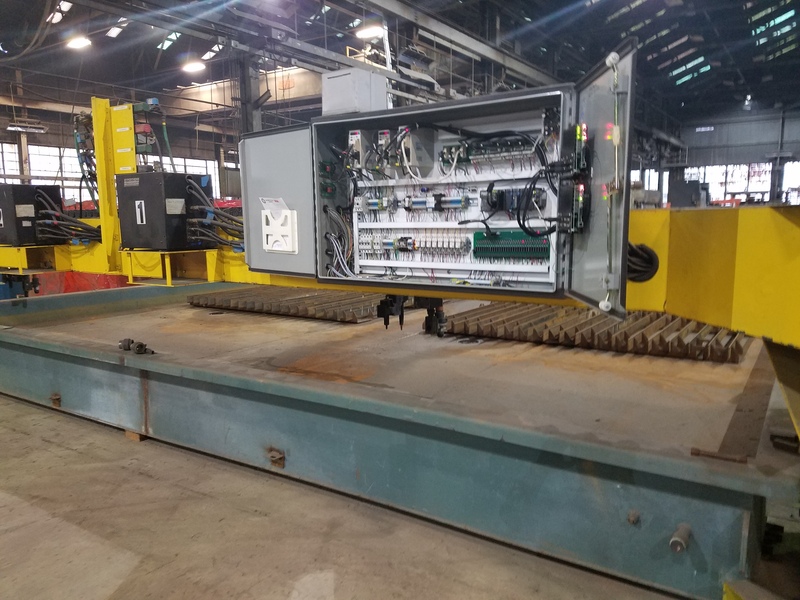 However, a retrofit will easily pay for itself, as most machines will inevitably breakdown and create unscheduled downtime without warning. A retrofit will get you out ahead of the problem and allow you to keep cutting. To learn more about the benefits of our cutting machine retrofit services, contact us today. Reliable AC Servo Drive Systems and Operators Stations that are easy to install with little downtime! Since 1993 Plasma Technologies has been providing retrofits for plasma and oxy-fuel machines. Our products and technical support that can be relied on time after time. If you have a cutting machine with a Koike D11, D80, Picopath, an old Burny or MG Navigator its time for an upgrade. We offer both standard and custom retrofit packages are available to handle anything all your requirements. We can provide a cost effective package for ANY brand of machine.